The Office of Enrollment Management is deeply committed to transforming students’ lives and supporting them as they pursue their degrees. 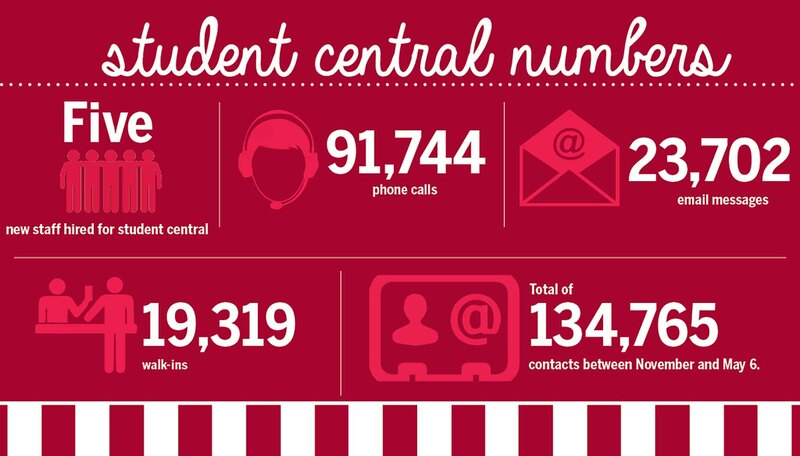 We’ve enhanced our services, creating a one-stop shop at Student Central by adding front-facing bursar services. We’ve increased retention efforts by encouraging non-registered, current students to register for the next term and by reaching out to provide financial aid counseling to those students who hadn’t paid their bills. Our students will live and work in a global and diverse world, and we want their educational experience to prepare them for success. 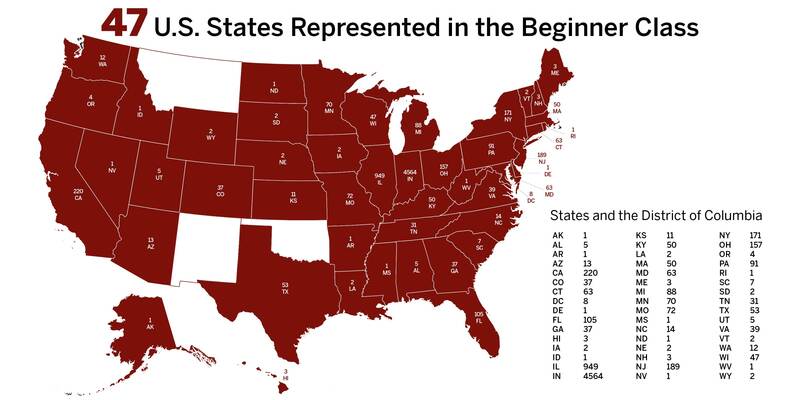 Demographics in our country are constantly evolving, and our recruitment and outreach efforts must evolve in tandem. We work closely with many on- and off-campus partners to enroll students who enhance the academic and co-curricular experiences of the institution. To increase diversity recruitment, this year we hired new recruiters and implemented a strategy focused on community organizations and broader outreach. 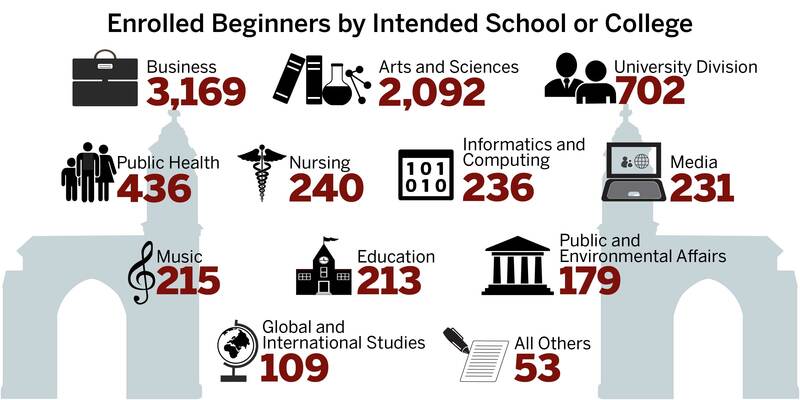 The beginner class of 2015 is the most academically talented and diverse in IU Bloomington history. 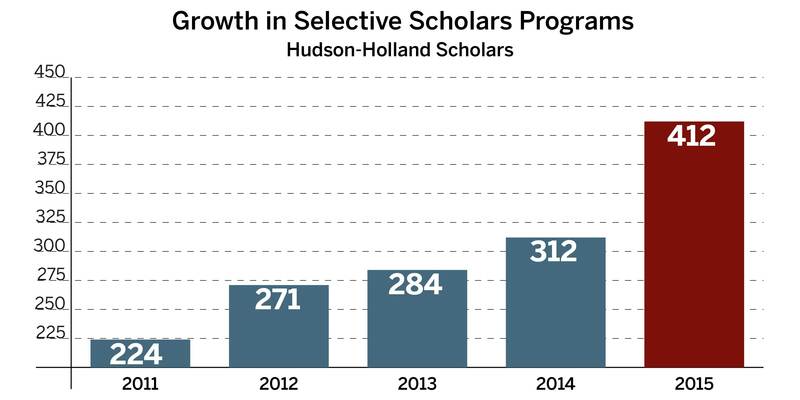 We’re bringing in more Hudson and Holland scholars and Hutton Honors College students. 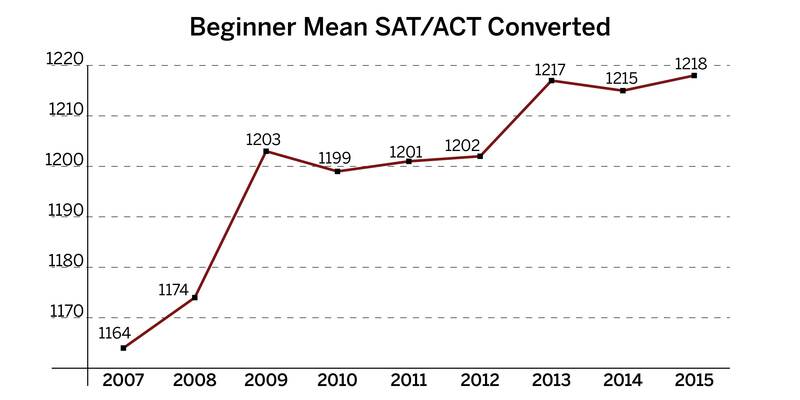 The class has a record median GPA of 3.76 and a recordbreaking average SAT/ACT score of 1218. 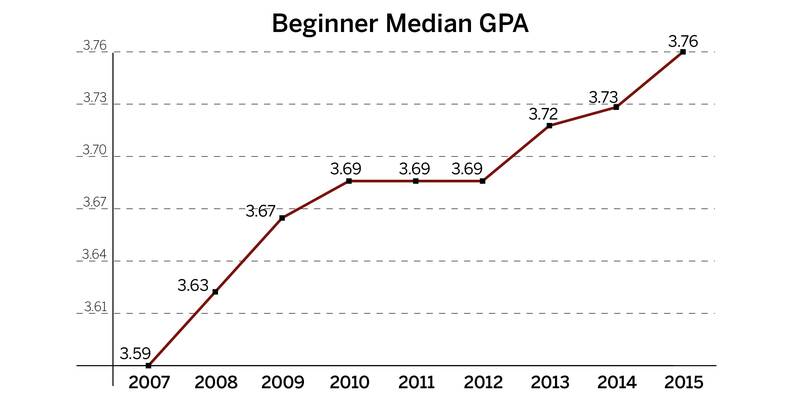 Seventy percent of the beginner cohort has college credit and took 11 credits on average. 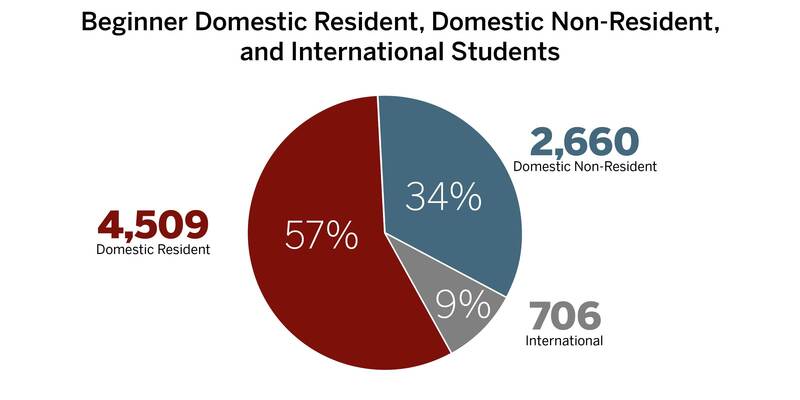 We’re enrolling more underrepresented students, first-generation students, and international students. Our students will live and work in a global and diverse world, and we want their educational experience to prepare them for success. As we look toward the future, we will continue to expand recruitment, enrollment, and service initiatives directed at student success. 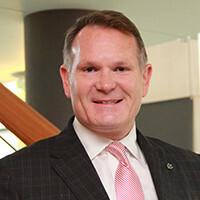 We are also finalizing an Office of Enrollment Management (OEM) strategic plan that is connected to—and framed by—IU’s Bicentennial Strategic Plan. What is on the horizon for enrollment management as we work to recruit, enroll, and serve academically prepared and diverse students in support of their attainment of an IU degree? As competition in the higher education student recruitment space has no end in sight, and to maintain a competitive position in the marketplace, we are considering the potential implementation of a third party application for IU Bloomington, such as the Common App and a new Coalition App. We are looking at ways to enhance our service to students in Student Central (front-facing student services of registrar, financial aid, and bursar) with an improved website, including state-of-the-art online tools to help students find the answers they need. We want to support students in their career success; being able to differentiate themselves through their academic transcript is one way to make that happen. We are investigating ways that additional information describing service learning, engaged learning and other academic experiences can be added to transcripts. Finally, we are working to provide an intentional First Year Experience for ALL students. The culminating FYE experience will be a spring semester series of activities sending a more fully integrated group of students to their sophomore year poised to succeed at IU and prepared to be more deeply engaged in areas such as courses, internships, study abroad, research, and leadership. 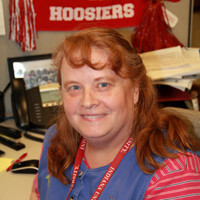 OEM is just one of the IU offices helping our students succeed. As always, our students, faculty, and staff play a huge role, and I am truly grateful for and pleased with the work we’ve done together this year. 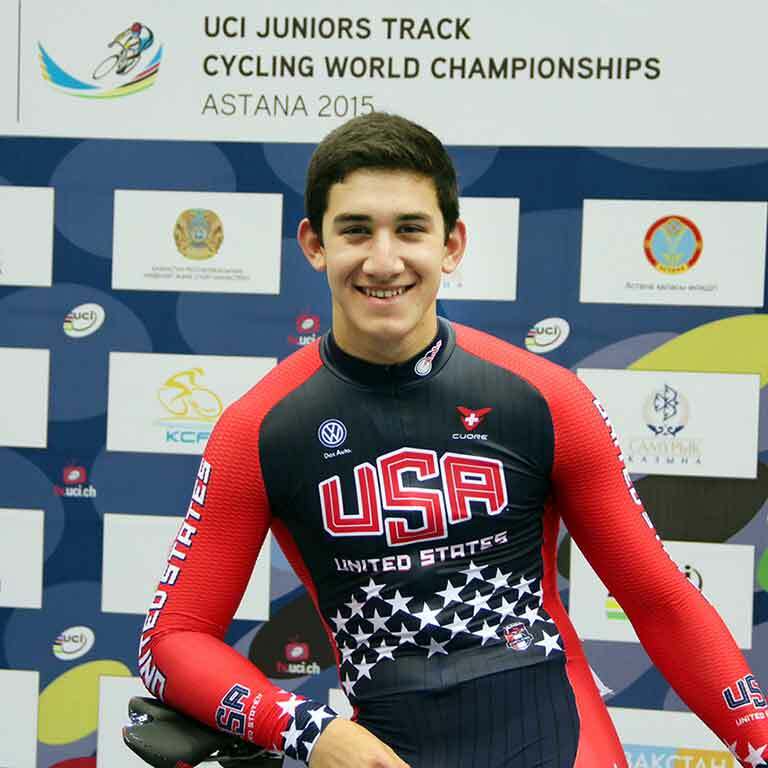 While other new freshmen were exploring IU Bloomington during Welcome Week, Samuel Fogel was more than 5,000 miles away competing for Team USA at the Union Cycliste Internationale Track World Championships in Astana, Kazakhstan. Now that he’s here, he’s settling into university life, planning to get involved with the IU Cycling Club, and continuing to train with the hope of competing in the 2020 Olympics—all while focusing on getting good grades. Hope Hiller, a 2015 graduate of Speedway High School in Speedway, Ind., is an incoming freshman majoring in Spanish at IU Bloomington. 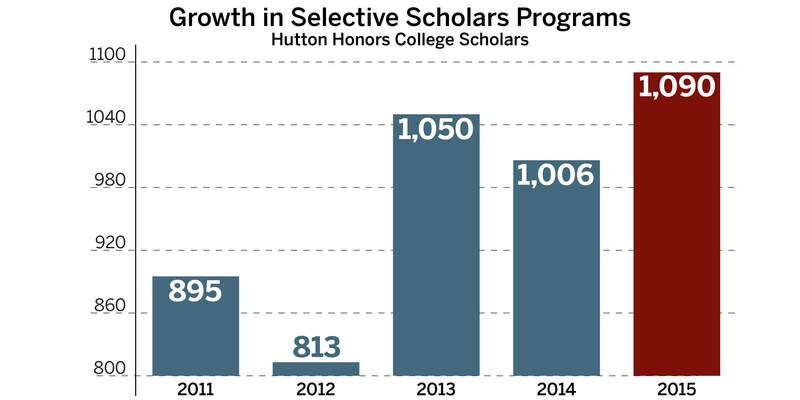 Hiller, a first-generation college student and 21st Century Scholar, is a direct admit to the College of Arts and Sciences and a member of the Hutton Honors College. We strive to meet the Bicentennial Strategic Plan’s challenge to seek out and support underrepresented students. 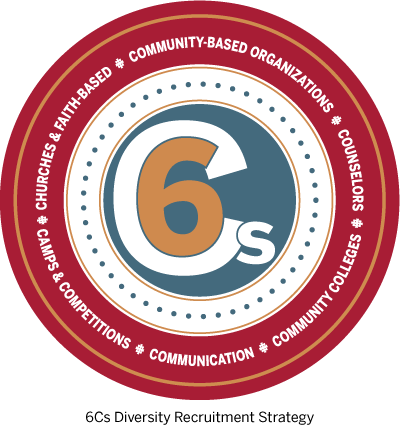 Two efforts in particular supported this goal during 2014–15: adopting a nationwide 6Cs strategy and increasing our national reach with the addition of new staff. 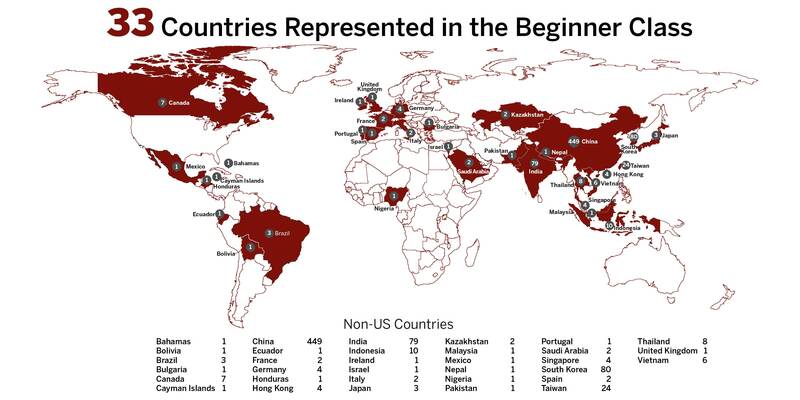 To fulfill the goals of this strategy and expand our reach nationwide, two new regional staff members were hired in Dallas and Washington, D.C., bringing the regional representative total to six, and one staff member was added to expand our recruitment of underrepresented students in Indianapolis. The Office of Admissions expanded its programs for underrepresented students; this year it hosted three receptions for 49 admitted underrepresented students and their families and hosted an additional 67 admitted underrepresented students at the annual Campus Collage. 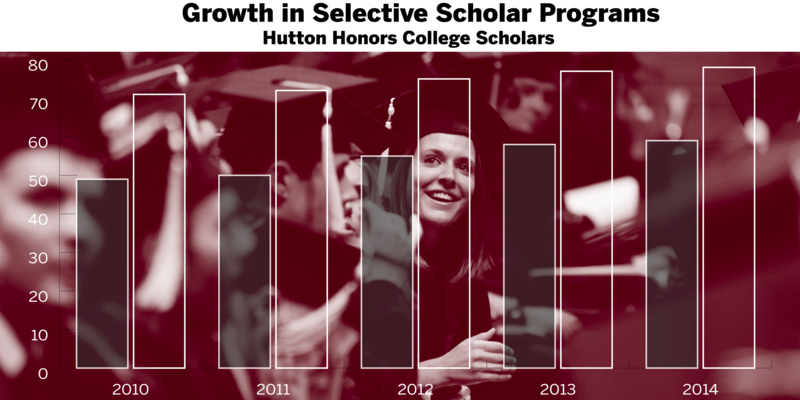 Of the students attending each event, 82 percent enrolled at IU—an increase from 73 percent in 2014. 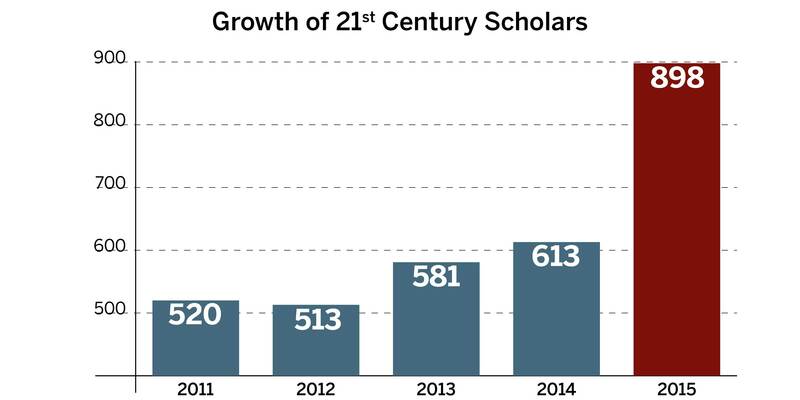 In addition, we increased the number of diversity programs offered by the Office of First Year Experience Programs, which resulted in an increase in the number of students who participated. We also partnered with IU Communications to pilot a new digital advertising campaign focusing on African American students in a unique effort to shape the class profile. These ads, which ran in the last two months of the recruiting season, reached 19,000 potential students. Emmanuel Scaife is an incoming freshman from Indianapolis majoring in informatics and computing at IU Bloomington. As a Cox Engagement Scholar and Advocate for Community Engagement, Scaife will work with the South Central Community Action Program to help families in poverty. We’re working hard with our partners to recruit students who will succeed at IU. 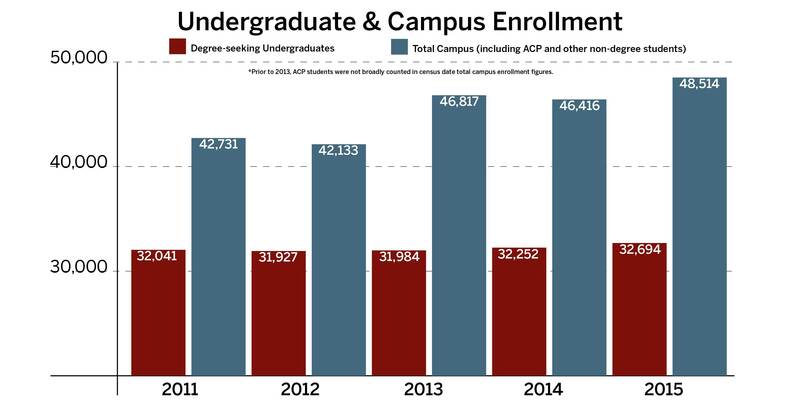 In 2014–15, the Office of Admissions expanded its efforts in every area, including enhancing its marketing communications, increasing opportunities for student visits, and strengthening on-campus partnerships. 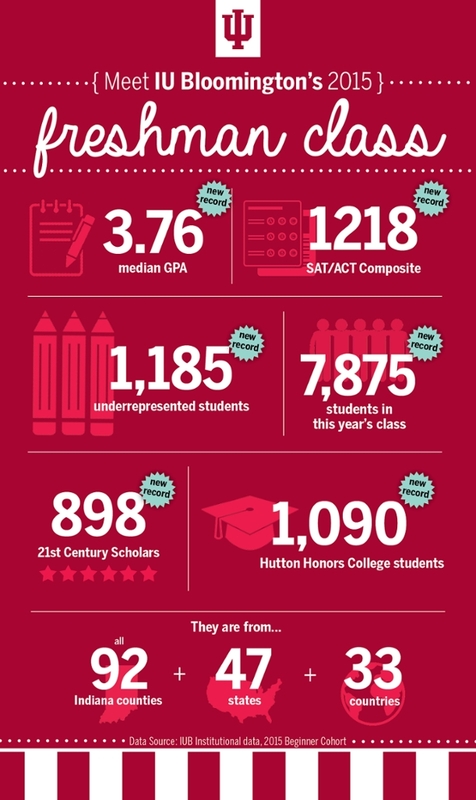 As a result, both the Office of Admissions and the Office of Scholarships saw increased participation and had a record number of students who said yes to IU. Our multipronged approach resulted in better event participation and more students enrolling at IU. The Office of Admissions welcomed 40,962 visitors to campus this year and hosted 833 students at 23 programs throughout the nation. Eighteen Red Carpet Days saw 2,685 attendees, and nearly 80 percent of them enrolled. The Office of Scholarships saw an increase in the top band of exceptional students, with 442 prospective students who enrolled after attending one of many scholars receptions around the country and 2,758 prospective students who enrolled after receiving an IU Achievement Scholarship. And the Office of Strategic Planning and Research has improved our ability to manage and visualize enrollment data through implementation of Tableau software. When he was looking at colleges, Liam Dixon received a piece of advice that stuck with him: What matters is how well you fit in, because otherwise you won’t reach your full potential. After applying to 18 schools, including nearly every school in the Big 10, Liam chose to say yes to IU. Being treated as a person, not a number, makes a huge difference to him. 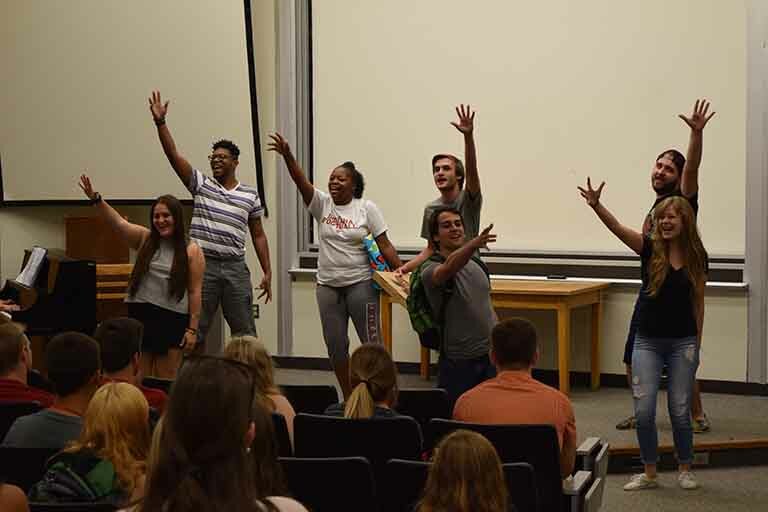 From our “Welcome to College” musical to our new “Business of Being a Student–Family Edition” session, we addressed alcohol, sexual assault, bystander intervention, and safety-related services and support during New Student Orientation and Welcome Week. The Office of First Year Experience will carry these themes throughout the year. 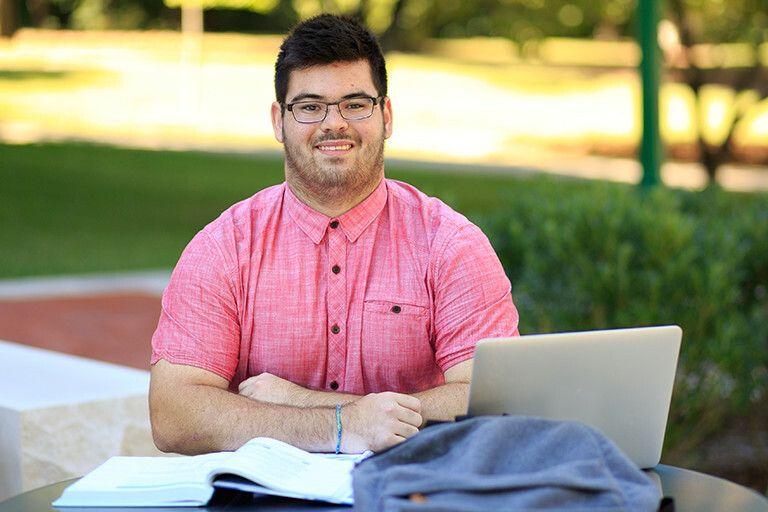 Javier Fuentes-Rohwer is an incoming freshman studying mathematics at IU Bloomington. A native of Bloomington and alumnus of Bloomington High School South, Fuentes-Rohwer chose IU for its academic excellence and affordability. Student success is a common thread that runs throughout this report and, in fact, throughout all we do. Nowhere is this more apparent than through the services we provide. And we significantly enhanced our services this year when Student Central and the Office of the Bursar united to provide a single location for financial aid, class registration, and student account needs. Before this move, students sometimes didn’t know which office to ask for help, causing them to bounce back and forth trying to resolve an issue. Students know that Student Central can now help them regardless of whether it is a financial aid or student account problem. It is much more efficient and convenient for those we serve to make one stop, one call, or one email rather than three to get answers. OEM does its part to ensure that IU Bloomington meets the goal of providing an affordable education as laid out in the Bicentennial Strategic Plan. University-wide financial literacy initiatives led to a decrease in student borrowing and pointed students to the Office of Student Financial Assistance as their first stop to get help paying for college. The Office of Student Financial Assistance, in a pilot program, reached out to assist students with a past due balance. Eighty-one percent of students that were contacted were able to pay their bill and continue their schooling. 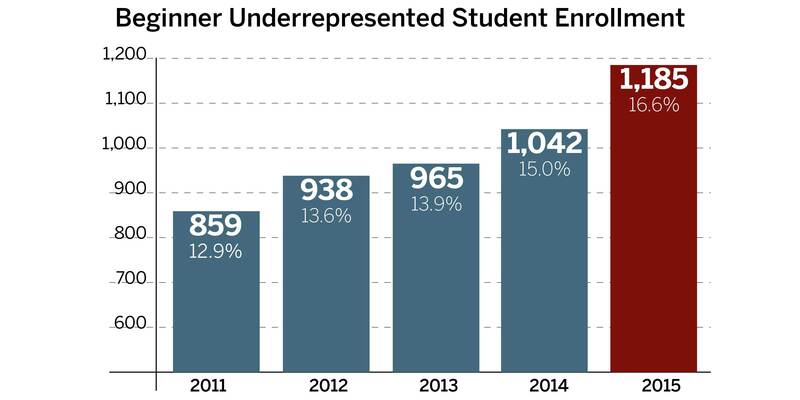 In an attempt to increase retention, the Office of the Registrar contacted continuing students who did not register for the spring semester during the fall as a part of a pilot outreach effort. We offered them support and assistance from Student Central with the intention of encouraging them to register. 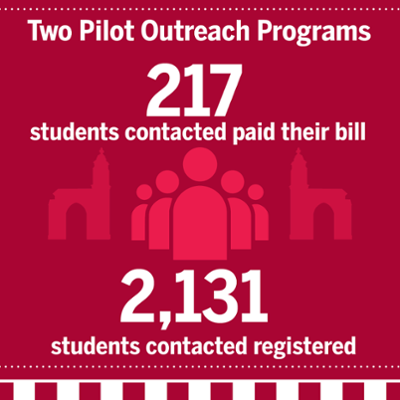 This led to 2,131 students who were contacted then enrolling in the spring. 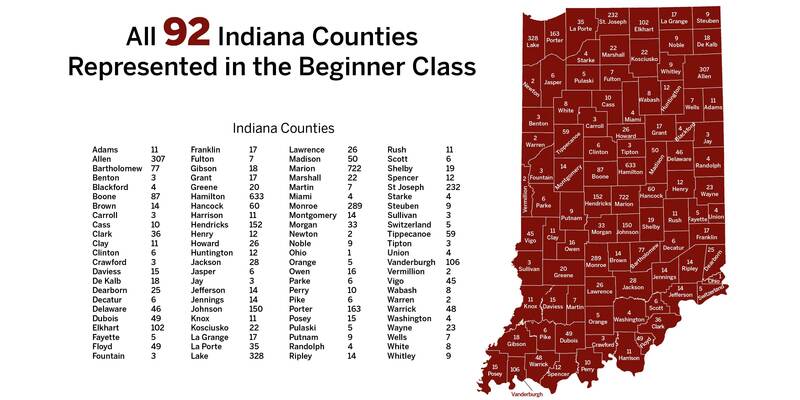 The retention rate for fall 2014 beginners who were retained in the fall of 2015 is 89 percent. Although these efforts are aimed at more than just freshmen, they helped to influence the retention rate. Cuba’s University of Arts has no harp department. 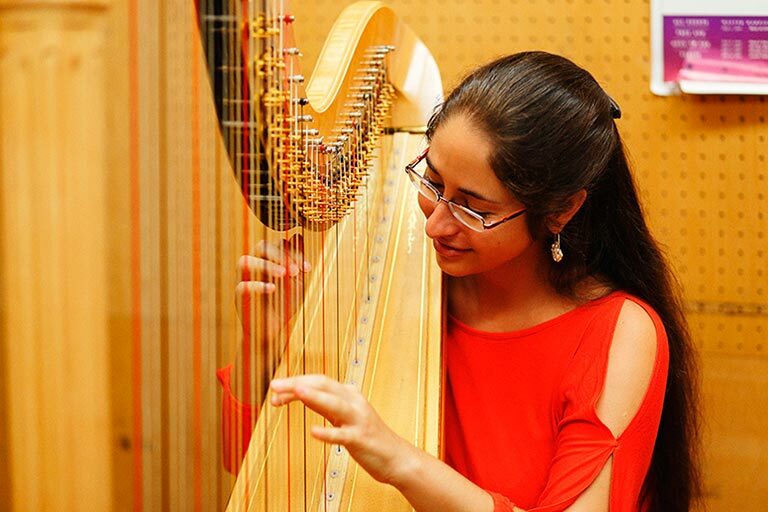 Anabel Gutierrez Orraca, the first Cuban harpist sent by the Cuban government to study in the United States since the 1959 revolution, plans to establish one herself after she completes her degree. She’d always dreamed of going to college abroad, and when she learned that she could study under her idol, Distinguished Professor Susann McDonald, she knew IU Bloomington was the place for her. Skylar Gibson was salutatorian of his graduating class, captained the soccer team, and played piano for both the jazz band and the school orchestra. 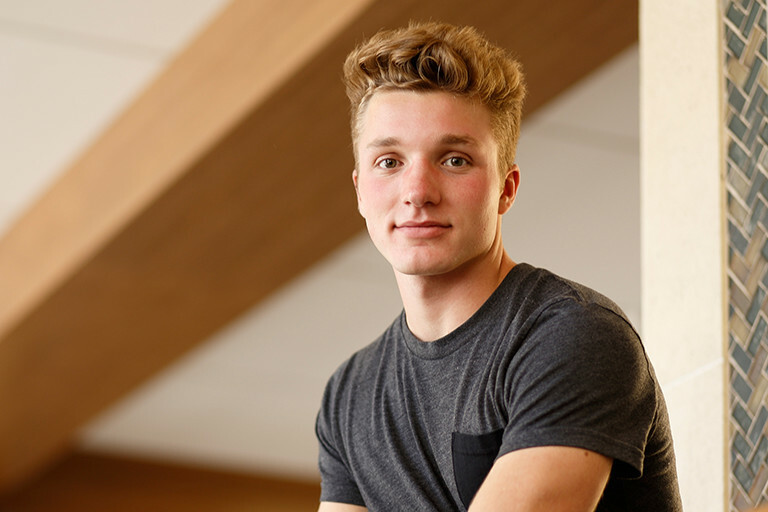 Skylar had his pick of schools in Santa Barbara, Seattle, and Boston, among others—but the prestige of Kelley, available scholarships, and the friendly, helpful atmosphere at IU Bloomington brought him to the Midwest instead.